Winter Break: A time for reading!! I’m officially on Winter Break for the next 16 days and it really couldn’t have come at a better time. My students and I definitely needed a break and time to recharge. While I have several things planned already – celebrating the holidays with my family, undertaking a few cleaning and organizational projects, and simply recharging my batteries, I have also waited with anticipation for these days off for one sole purpose. 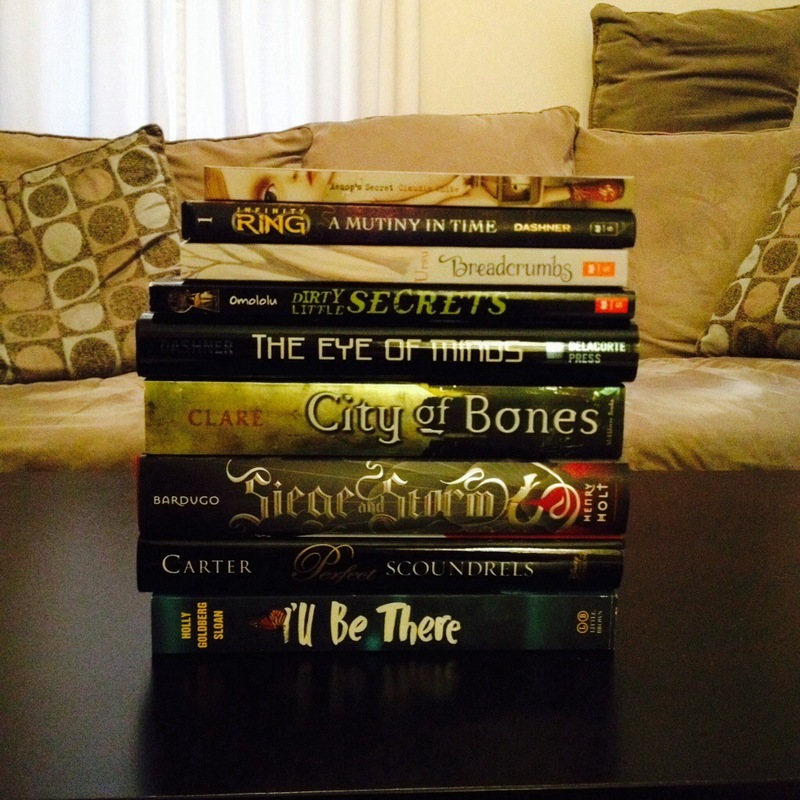 I am so excited to read and attack my Winter Break book stack! My pile includes 9 books and I think I definitely have a good chance to finish all of them. I am particularly excited for a few of these and can’t wait to share how my opinions about them. One of my resolutions for 2014 is to review more books – so I am hopefully setting myself up for some good review opportunities from the start! Not surprisingly, there are a few additional titles that are on my Christmas list, so my stack may need to be adjusted a bit depending on what’s under the tree. I am really looking forwarding to sharing these titles with my students on our first day back and getting them into our class library though, so I am very determined to get these all read! What books are you ready to read over the holidays?